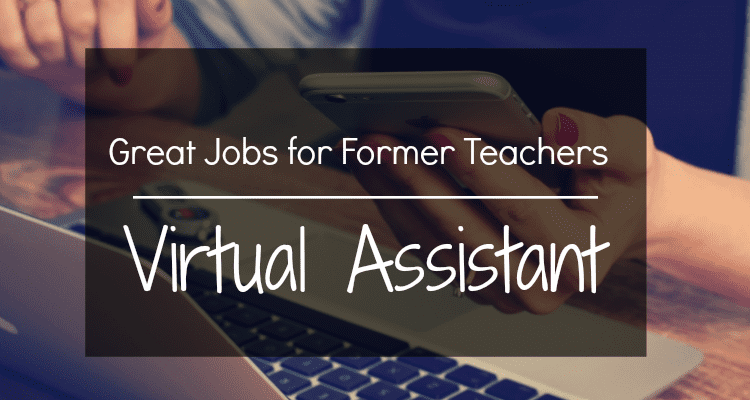 Wondering what life after teaching is like? Here's a collection of real stories from teachers who have made the leap out of the teaching world. Please welcome this real story from Ayesha J. Gallion, an author and freelance writer who taught high school English for 10 years. Ayesha writes about the heavy decision-making process that comes with leaving teaching… and the surprising benefits that came along with it! After almost 10 years, I resigned from my position as an English teacher at a magnet school for the arts in Newark. I was offered a senior position as a communications representative for the largest integrated plastics manufacturer in North America. I was straddling fear and courage; the familiar and the unknown; complacency and unrest. I accepted the position. The culture of humility and nobility that once kept me in the classroom no longer exists within the confines of modern urban education. In many ways, teachers are martyrs of sorts. I did not want to be so selfless anymore. All other parts of my life yearned for my return. The often vacuous attempt to disaggregate data extracted from district-mandated assessments was embarrassing to behold, and I couldn’t remain in a space of victimization and frustration. I knew that if I wasn’t prepared to usurp the system, I had two options: become apathetic or seek a living outside of education. And since being apathetic is only a temporary coping mechanism, I realized that leaving was more sustainable. I didn’t care about the pension, the “good benefits”, or the job security. I did care about the students that I would not be able to greet again in September. However, this is the necessary heartache that any parting teacher must anticipate. Chances are they will respect your decision; for they want you to experience all that you have taught them to attain, which is an authentic life. There were colleagues I didn’t necessarily want to leave either. They had seen me through many phases in my life including pregnancy, divorce, and graduate school. The administration were often in my corner and respected my desire to teach literature and writing. Many of my colleagues were funny, kind, insightful. I wondered: What if my new colleagues were mean, short-tempered, and egotistical? But what if they were content, inspirational, and creative? The risk to leave was undeniable, meanwhile the option to remain put my own evolution at risk. I was lucky enough to resign after school was out. But the closer my start date neared the more wildly the pendulum swung, from anxiety and then back to bravery. Everything turned out just fine; transcendentally joyous, in fact. From proofing manuals, interviewing manufacturing presidents, editing/writing for the corporate newsletter, and checking the AP Stylebook and Merriam-Webster every chance I get, I am in my element. I have the added bonus of learning all about the engineering processes of the plastics industry along with branding and marketing strategies. My mind is alight with curiosity and stimulation every single day. My ideas and solutions are encouraged for logical, real world applications versus intangible variables beyond my control. Work-life balance is no longer an anomaly. Once upon a time ,“normal business hours” sans summer vacation scared me. I thought life would be one monotonous roll of toilet paper. But when you love what you do everyday and you are inspired by the innovation of the culture in which you create/work – it is not a burden! Actually, an 8:30 to 5:30 gig that respects my ideas, allows me time to refuel, and uplifts the tenets of compassion and creativity are very beneficial. I have an uninterrupted, guilt-free lunch where I can down a bowl of soup at Barnes and Noble, take an exercise class, or walk he company’s tree-lined grounds. At my desk, I drink water or tea all day and go to the bathroom when I need to as well. The other parts of me are blossoming. Had I not left the classroom, they may have withered away, never to be fully applied in this robust fashion again. Why simmer in any system that fosters dysfunction or maintains a culture of internal and cyclical sabotage? The educational industry – from its laughable Common Core Standards that read like Artificial Intelligence penned them to the removal of key staff members to balance budgets – is in need of major reform. The other evening I was telling a friend, who also began a new career, about the intriguing aspects of my new job. A familiar person is resurfacing. And I own and believe in my value. 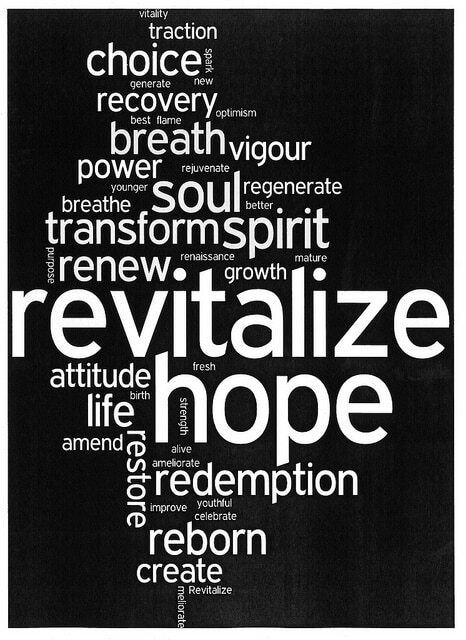 I yearned to be whole again, and if this is what getting back to me feels like, then I’m in for the ride of my life – with excellent benefits, vacation, and a pension, mind you. Thank you for sharing your story, Ayesha, including the happy ending! 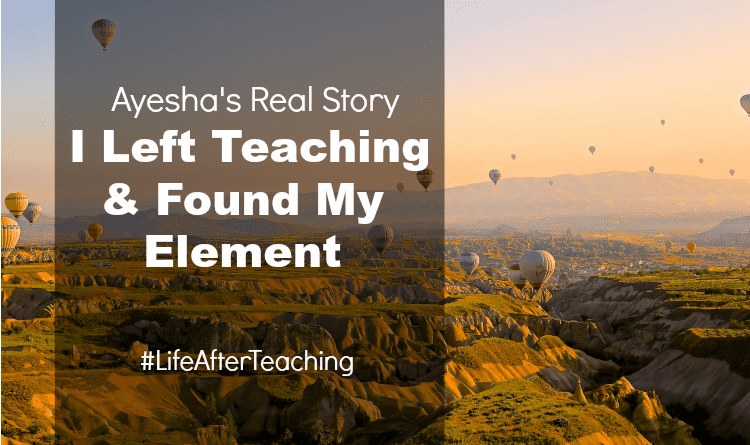 Do you have a question for Ayesha about Life After Teaching? I found a new job as a communications representative by first noting my skill set I wanted to capitalize upon and enjoy executing, namely editorial- or public relations-based. I also knew that the content/industry within which I wanted to work was either residential, commercial, or industrial designing or manufacturing. I cross referenced companies that fell into those design categories and looked for vacancies that aligned with my skill set. I perused everything from public relations agencies specializing in hospitality design to online retailers — anything with an opening for content production in those markets. I found my current job via a good old job board like Indeed. However, I strongly do not suggest limiting one’s search to popular job boards. Learn about the manufacturers, innovators, firms, and other entities — from boutique-sized to conglomerates — in the industry that inspires you and then view the job board on the company’s or its affiliates’ website. As for actually getting a new job, it’s so important for teachers wanting to transition to take initiative and learn some sort of technical skill. For me, I wanted to get connected with blogging or online content production. The blog that I write for fun (on Chicago Steppin’ — an urban ballroom dance — at quirkystepper.wordpress.com ) turned out to be one of the factors that got me hired! First, the company’s group president was able to gauge my writing voice/quality. Second, some of the technical work required at my new job also actually entailed working in WordPress (the website platform I used to blog). Since I had already been familiar with using the tool/website, I didn’t need training in that area. So, having hobbies or an interest in this area definitely tipped the scale in my favor. Welcome this real life interview from former teacher Gillian Culff! After earning her degree from Sarah Lawrence College and teaching high school English for ten years, Gillian began freelance writing, consulting, and speaking. She now writes and consults full-time and you can read more about her amazing background here. Please describe your teaching experience and educational background. I earned a B.A. in liberal arts from Sarah Lawrence College, where I studied psychology and political science and did field work in child development at the Sarah Lawrence College Early Childhood Center. However, I had no idea I was going to become a teacher and did not get any sort of teaching degree or certification. I began teaching high school English, creative writing and Student Council in the 2004-2005 school year at a small, private school in Hawaii. I taught there for ten years. In my second year I became the yearbook advisor as well. I loved teaching; the variety of courses I taught was great, and I enjoyed being on my feet interacting with kids a lot. I grew a lot as a teacher and an individual in those years. With no real training I figured out how to teach high school English and help students improve their writing and critical reading and thinking skills. I enjoyed reading student writing, but I hated having to put a grade on it. That has always been antithetical to my own philosophy of learning. That’s why I went to a college with no grades. That part of the job always chafed at me. I think it dawned rather slowly as I struggled to handle the ever-burgeoning load of paperwork and department work. In fact, every year, my review was excellent, but I was always given the same constructive feedback: I needed to assign more work, and I needed to turn back work to my students more quickly. If you think about this for even a minute, you can see how these two goals are at odds with each other. Along with the grading, these two areas dogged me continually. However, there came a moment when I realized I hadn’t truly been happy for a while. I was working with a life coach to find out how I could feel more fulfilled in my life overall, and I was teaching my students a new unit I had designed on the Hero’s Journey. I was standing in front of my classroom telling my students to go out and live their own hero’s journey, when I realized I was no longer living mine. It was an epiphany, the classic hero’s call to adventure. It finally dawned that I wasn’t enjoying teaching as much anymore. I had been changing up my texts and units of study year to year, and I was still restless and a little bored, even with the teaching itself, which was the part I’d always loved. Ironically, after years of stress and struggle—including building strong student council and yearbook programs, both of which had a steep learning curve at first— having finally arrived at a point of mastery and confidence in my abilities, I was no longer feeling challenged by the work. Simultaneously, the stress of always being behind in my grading was tipping the balance toward dissatisfaction as I realized this was not an area where I’d ever improve sufficiently to satisfy myself or others. What position do you have now? I started my own business as a freelance writer, editor and teacher of writing classes. I am working on a book and course series wherein I use ancient philosophical texts as inspiration for writing exercises to help people reflect on their lives and grow spiritually. In terms of my writing, I specialize in profiles of people and places as well as web copy. Why do you think you got this job? I come from a family of entrepreneurs; when I was a child, my dad started a corporation that manufactured kitchen cabinet fronts using a—at that time– new laminating process. My mom had always been self-employed as a singer and in later life started teaching voice lessons. When she turned 80 she wrote a book and started a business teaching people to overcome stage fright. My sister and brother in-law have together built numerous businesses, including a dot com that was hugely successful during the bubble of the 90s, a multifaceted and highly successful and diversified real estate and property management business, and now a web development company. I felt encouraged by my life coach and my family members to take the leap. I knew my experience and expertise supported my being successful at it; just how successful would depend on my personal resources, perseverance and motivation. I miss the daily interaction with my students and colleagues, the energy in the building, the joy of watching my students rehearse a pep rally or talent show and overall just being a part of something bigger than myself that has a culture of family. The school where I taught is a very loving place, and I will always remain in touch with many of my students and former students. I don’t miss the heaps of paper work I could never seem to get a handle on or having to tell a kid that his paper was a “D” or a “C” or a “B-.” Grading is so reductionist and distracts students from what really matters, which is the process of improvement. I don’t miss proctoring standardized tests, but fortunately, our school had few of those, not like public schools. I think the move towards more and more testing and teaching to the test is a disaster and a completely wrongheaded approach to education. 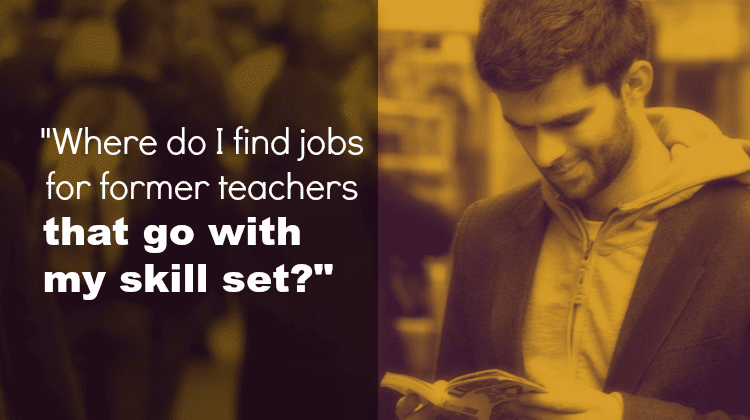 What surprises you most about life after teaching? I was surprised by not only how much courage it takes to start your own business, but the continued renewed courage one needs to keep going, along with the difficulty in having to motivate oneself to go after or generate work without anyone hanging deadlines over my head. If you aren’t happy and are just “phoning it in,” you aren’t doing yourself or your students a service. One fear can be giving up paid summer breaks, but if you are motivated enough to build a business on your own terms, you can structure your vacations however you want or simply allow yourself more time each day so that you aren’t a walking ball of stress. Teachers need three months off because they are pushed to the brink of burnout each school year and need time to refresh and renew themselves. But if your daily life is less stressful because you’ve been able to structure it that way, you don’t need three months of recuperative leisure, and your work life overall feels more manageable and reasonable. 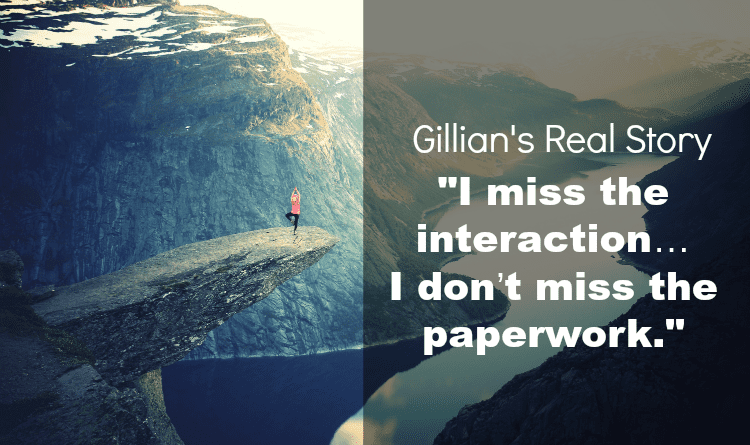 Thank you so much for sharing your insights, Gillian! Does anyone have a question for her? 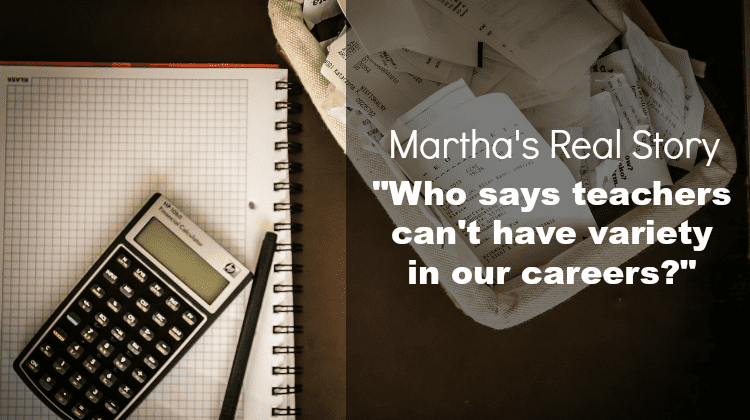 Please enjoy this Real Story guest post by Martha, a CPA turned Math teacher turned consultant! She brings a unique perspective to the blog because she was in the corporate world and decided to get into teaching… and then decided to go back to the corporate world. I taught middle school math in Catholic school. So, you know I wasn’t doing it for the money, haha! I was planning to teach high school math anywhere, but I was still taking the required classes to get certified for high school and I got a call about a middle school job, so I took it. Tell me more about your motivations for going into the classroom. Was the focus on not enjoying your time as a CPA, or were you more motivated by the idea of teaching? I was really motivated by the idea of teaching. As a student I had a love/hate relationship with schools. One of my favorite quotes is Tom Sawyer’s “I never let my schooling interfere with my education.” And so I thought I would help kids get an education and not just schooling. Seeing as how I only lasted a couple of years, I’d say it dawned on me pretty quickly that teaching wasn’t quite how I thought it would be. It was mostly the parents. They make it really hard sometimes. The other thing that helped push me out the door was a new principal at the school where I was teaching. First, she didn’t want 8th graders to take Algebra I anymore. I had taken Algebra I as an 8th grader and I didn’t see the big deal. Then she poo-poo’d me for being a new teacher. What happened exactly was that I had 7th grade homeroom, but the 8th grade teacher was tired of going to Disney World every year, so she asked me to trade. I didn’t care either way. But the new principal said no because 8th grade is too much responsibility for a new teacher. I felt slighted but by then I didn’t even bother arguing the point; I just said bye and went back to the corporate world. It’s not as if I love the corporate world, but for the money teaching is very hard work especially for a new teacher who has to come up with lesson plans every night. 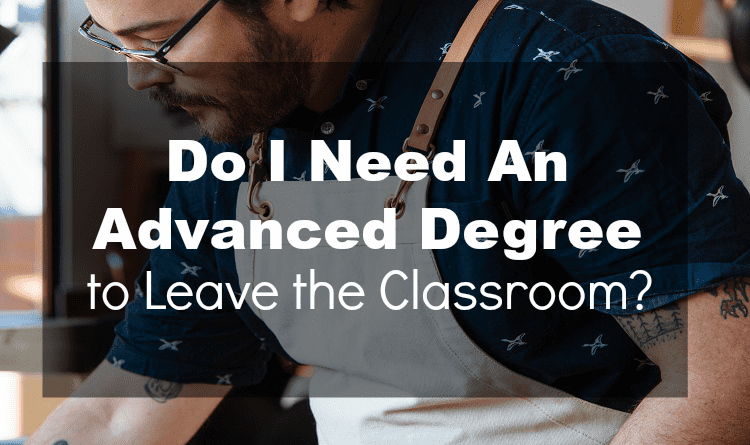 Was it difficult to leave teaching after working outside the classroom already, or was it easier to make the leap back into the world of business? 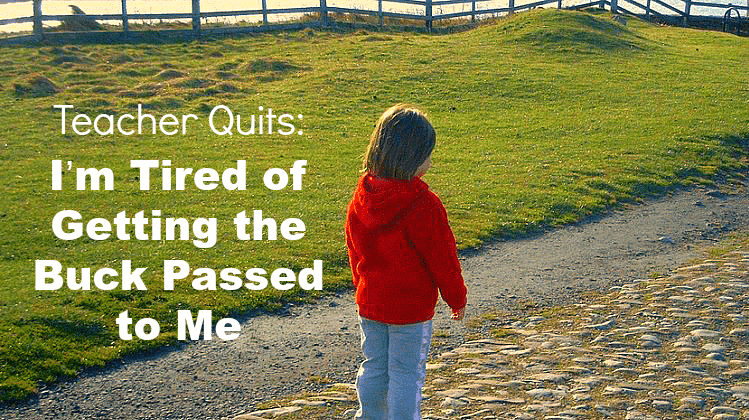 When I made the leap back to the business world, it was easier for me, but it was still a career change because I had been working in CPA firms and I didn’t want to do that any more. Also, I had been a tax accountant but tax jobs in a corporation were hard to come by. I decided to go for a regular accounting job, but in order to earn what I had been earning in tax I had to be in a supervisory role. I was hired by a company that couldn’t pay a lot so they took a chance on me as an accounting manager. I was very lucky. If they had more money, they would have hired someone else, but it worked out great for them and for me. What position do you have now? 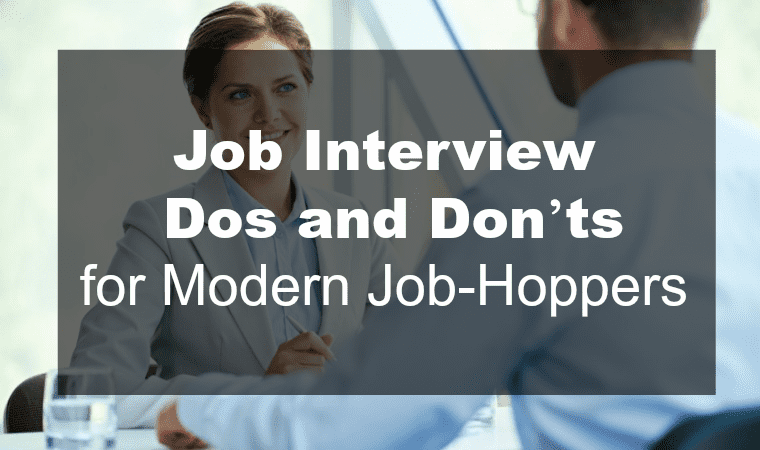 (If you’d rather not list specifics, just describe a generic title and role you hold). These days I do consulting. I’ve been displaced several times for corporate restructurings, mergers, moves, etc. Each time I have gone into consulting rather than settle for a quick permanent job. I’m working with a company now that could hire me full time; they are getting a feel for me and I’m getting a feel for them and we’ll see how it goes. It’s not just about money; I also want to work for a company that I can get behind their product and where I enjoy being around my coworkers. There is no job security (zip, zero, nil) in the for profit world. But what I miss most is that I didn’t have the chance to try my hand at teaching like I dreamed I would. I might have failed miserably, but it ain’t like administrators have it all figured out now is it? What else but the lack of appreciation you get from parents and administrators? It’s hard to imagine you pick a career in your 20’s and you must do it for 40 years. I think it’s human nature to want to experience different things, so let yourself be human. Besides, you’ve already proved you can teach so if you want to go back to it later, you could. What surprises me now….I get a chuckle every time a parent tells me how a kid is so smart and if he or she gets a bad grade it’s because he or she is bored in class. It’s not surprising to hear that per se, but it is surprising how many parents believe that. Of course teachers are more talented that they realize!It’s a skill to be able to speak in front of groups. And teaching itself is a skill. You have to be willing to learn, but teachers should be able to sell that about themselves. Thank you so much for sharing your experience, Martha! Does anybody have any questions for her, particularly the math teachers?